Would you like to hear only instrumental or vocal parts? results may vary, depending on the song stereo mix. 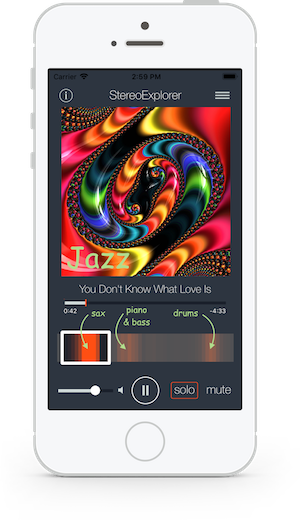 AppPicker : "A fairly straightforward yet wonderfully implemented app that allows you to isolate instruments or vocal tracks on your favorite songs without any kind of prior musical engineering experience ... ideal for singers and musicians such as guitarists who want to jam along to a song by removing the lead track"
ApplenApps : "A unique music app that lets you listen to your music in a whole new way"